DAVID LE/Staff photo. 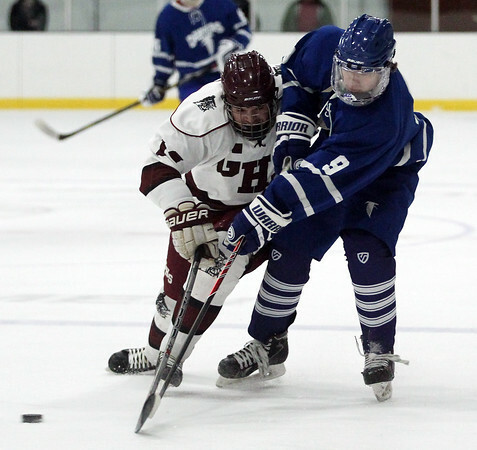 Gloucester senior Lucas Harris (14) bumps Danvers sophomore Conor Purtell (9) off the puck on Saturday evening. 12/12/15.